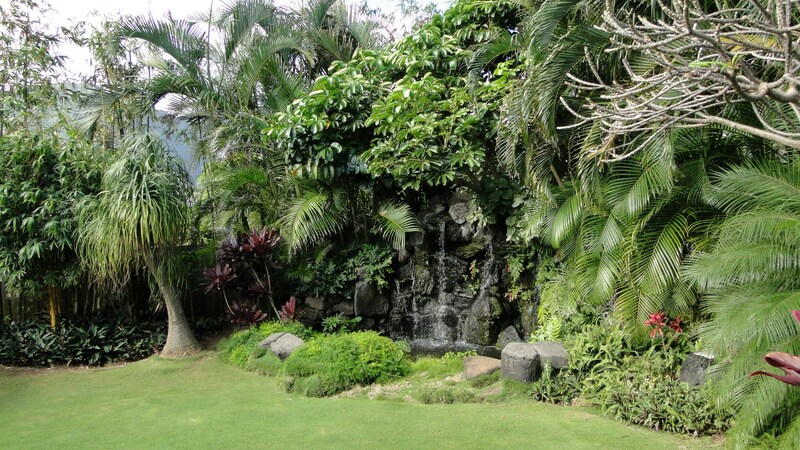 It felt like Below Hells Gate – our Hawaii Wedding – Part 1 of ? It felt like, I was below Hells Gate (which should have been)…Above Heavens Gate – in any case, all things happen for a reason. After getting engaged in October, 2010. Aya and myself decided to have a destination wedding. We had decided Mexico, however trying to deal with Mexicans was a hard challenge so we decided to do Hawaii! Aloha Hawaii!! !, I googled Hawaii Barefoot Beach Wedding and a company called “Above Heavens Gate” came up (www.HawaiiWeddings.com). I clicked in on the first link and was stunned! The page looked beautiful, I watched all the videos of Captain Howie and could feel his passion and personal characteristics and thought this was definitely the place I wanted to get married! So in December I gave a $100 deposit for my wedding which was planed for May 24, 2011. I was very excited and I knew there was going to be a rather good amount of people who would be showing up (approximately 40). Above Heavens Gate said they could accommodate. The wedding time as discussed was to be at 2:00pm. At the end of the January I was rather frustrated in dealing everything over the phone and email, so I planned a last minute trip to Honolulu to go meet with captain Howie and his crew as well as to find a place that would be good for our reception. While I was in Hawaii, Captain Howie was gracious and was happy to accommodate and meet me. I actually thought he was an extremely nice person and wish I had the chance to know him a little better. He comes across very very kind and is an extremely unique individual…Definitely not for everyone as their website states. After meeting with him, I also had a chance to speak with Jodi and Crissy and discussed things for the wedding. They mentioned that we would come at 11:30 and then have pictures and that the wedding would not be until 4:00pm which was a huge mis-understanding as we had planned the wedding to be at 2:00 and also had sent our invites for that time. They really wanted us to notify all our guests that the wedding would be later instead..Also further to this it was crucial to them that they had photo’s done first before the wedding, Photo’s with the two of us and also with the guests which is completely backwards to normal style wedding…Apparently it’s Hawaiian style to do all the photos first??? January to April went on and there was not a whole lot of communication until towards the end of April when we wanted to finalise everything and be properly prepared. I had to go away on a business trip so I was trying to get everything done before hand. Finding out if Aya could do a trial make-up session before hand and of course trying to figure out that we could do our wedding at 2:00pm first before photos….it was extremely difficult and hard to deal with the response..well if you dont care about your photo’s, etc. its going to be too bright to have photos and they wont look good because of the time, etc…just a lot of excuses and utter crap. We finally agreed we would do our photo’s first and they would ensure we were alone and that it would be an intimate setting when I would first get to see her with her dress on. As I thought we were almost done, Crissy asked that I had Aya call her with her questions. So when I was in Turkey on business I talked to Aya and she was very very upset and distraught about the situation and especially her phone call with Crissy. I am not 100% sure of all that was talked about and how exactly the conversation went, however she was very upset about some insensitive comments that were made to Aya. One of them being “Let’s hope there is not a Tsunami on your wedding day”… Aya had also sent an email back to her (pasted below). Thank you for clarifying our wedding plans yesterday. However, I was deeply hurt and offended by your tsunami comment. I have many family members and friends who were and are still affected by the castrophic tsunami that has killed hundreds of thousands of people in Japan. I understand that you were saying it in a jokingly manner. However, at this moment, it was an inappropriate comment to bring up. I hope this comment does not come up in front of my family or friends on the day of our wedding. YES – to flower petals. With all this chaos with the sun being to bright at noon… and possibly not being able to capture nice photographs, is there a possibly to change our wedding to an early time?! Or is this too late to change? I haven’t been part of the planning from the beginning, but I assumed that because we chose one of your wedding package, we would be getting some kind of discount. When I compared your prices to your ‘a la carte’ menu, we are saving a mere $48… I thought because we are purchasing things ‘in bulk’… there would be more of an incentive. Sadly, I would be lying if I told you that this whole experience so far has been amazing. I felt I was overly criticised for what we thought would be best for us and our guests. I understand that you guys are the professionals, and know what will work best. But, I felt that our reasons and feedbacks were never taken positively. Our main goal was to make sure we had ample time to head back to the city, freshen up and be at the reception by 6. Your idea of having guests arrive at 2:30, and have them leave before the ceremony even started… didn’t really make sense to me, as our friends and families are flying into Hawaii to see our ceremony…?? We are known as laid-back, go with the flow type of couple. And it hurts that I have to write this email, and express my hurt feelings. I am terribly sorry I meant no disrespect whatsoever!! I made a note to our office to not mention anything about tsunamis. We have a 10am photo shoot so we could keep your schedule as is or change it to the sunrise only on this day. We don’t do discounts if our couples order in bulk. Perhaps you have us confused with another wedding company? We have certain time frames we need to strictly go by in order to give our couples a stress free schedule and have everything inorder prior to their arrival. I don’t know what else to tell you other than “we are not for everybody“. I would not be offended if the two of you went else where. I would hate to be part of something that ruined your day. If you would like to discuss this further please call Capt. Howie at 808-***-****. In any case, after receiving an email with things such as “I made a note to our office to not mention anything about tsunamis”, “We are not for everybody”, “I would not be offended if the two of you went else where”, and “I would hate to be part of something that ruined your day”….I was extremely furious. I was not sure if they were mocking Aya, or sincerely sorry (I hope they were sincere). But really is it something they have to make a note of? I am sure they must deal with lots of Japanese people in Hawaii? Other things like telling us they wont be offended if we go elsewhere or that they would not want to be part of something that ruined our day…it almost felt like they did not want to do our wedding nor had a good attitude… In the end, they are the service provider and we are the clients. last but not least, we did cancel our reservation with them which gave us 25 days to find a new wedding planner/coordinator… – I graciously appreciate also receiving my refund back. – Thank you. *In all seriousness, I do think that if there is only two of you or say less than 10 people that Above Heavens gate might be a nice choice and could provide something quite intimate for your group in their garden of eden or someting where Captain Howie takes you out on his boat. *Kind of joking here, but half serious – I felt the whole time when talking about photo’s that they were really pushing for “Digital Botox”, this is where they photoshop your pictures to make you look like a supermodel…Honestly I thought that was kind of silly to the extent that they went to make the beach look absolutely untouched and unspoiled as well as to making the people look almost perfect! So, if you are very superficial and ugly, they can make you look really good (Yes, even if you are ugly like me…they can make you look hot damn like Brad Pitt!). In all seriousness, I really liked Captain Howies personality and his passion for what he does. He seems rather quite spiritual and connected with his “inner-being”. I do have to admit I was quite upset that the one sour grape spoiled the wine this time. In any case, spoiled wine and disappointment is one thing but I believe everything happens for a reason….Stay tuned for part 2 to see what happened next! Ps. These are only my thoughts and opinions on things and should be taken for that. I am sure my experience does not reflect what they stand for and could have been a big mistake… – I think we are very easy going people, however we might be have been more of a challenge logistically since we had a group of almost 40 people. As for a dinner venue, we dealt with Mike at Tiki’s Grill – michaelm@tikisgrill.com. They were absolutely outstanding. We Rented out the Coconut club, so were able to have a private venue and enjoy the beautiful view of Waikiki beach. Prices were extremely reasonable and the food was perfect! Thank you soo much for your reply and links. Congratulations, it was a beautiful ceremony. Funny, I have actually been looking at that site! Maybe you have reaffirmed that is who I want to use. Captain Howie was awesome so was Above Heavens Gate. As a matter of fact we are going to renew our vows with him Oct 2014. As you said they are the professionals. As for digital botox I wish more photographers knew how to use it. I just came across your website randomly because I like reading reviews of venues after I have used them to see how they have kept up and I must say, you are very lucky you did not choose this venue. I was married in November 2011. A friend of mine was married the previous year and used Captain Howie and recommended them, so we did. Up until the actual day of the wedding, everything went well..then the wedding day came. My husband and I arrived and were let in the gate. I was in getting hair and makeup done and the lady (Howie’s wife, I think) kept coming in, rushing the hair lady to finish up. The wife was extremely rude the entire time we were there and we seemed to be a bother to her. The pictures were odd, like you said, because everything was done prior – none were taken during the ceremony. The photographer told us it was because Captain Howie does not care for pictures being taken during the ceremony…..okay??? And the photographer and Capt Howie would speak in Spanish most of the time they were around us which annoyed me. Afterward, no congrats or anything, it was “so how will you be paying”? We went back to his house took take care of the financial aspects and he was pushing us on getting the digital botox for an extra price, which we did and our pictures look HORRIBLE! I have yet to this date shared any of them because I am so disappointed. They are horribly fake looking and I had mentioned to the photographer prior that I would like more random, non traditional pictures included…..there was one picture with a bunch of seagulls by the water……yeah. After the ceremony, I felt it was odd that none of my family tried to come in the gate to see me prior to the wedding. Unfortunately, I did not have my cell phone on me so I was unable to call them. I was told afterward by my aunt that they tried to come in and told them who they were and were treated very rudely and were not allowed in. Overall, I would not recommend using this venue. I was beyond disappointed with both the attitude and the quality. Thanks sooo much for your feedback! Getting feedback like yours makes me feel warm and fuzzy inside and blessed that I did not have to go through the troubles! Thanks for your review. My husband and I got married by Captain Howie in 2008, and it went fine. 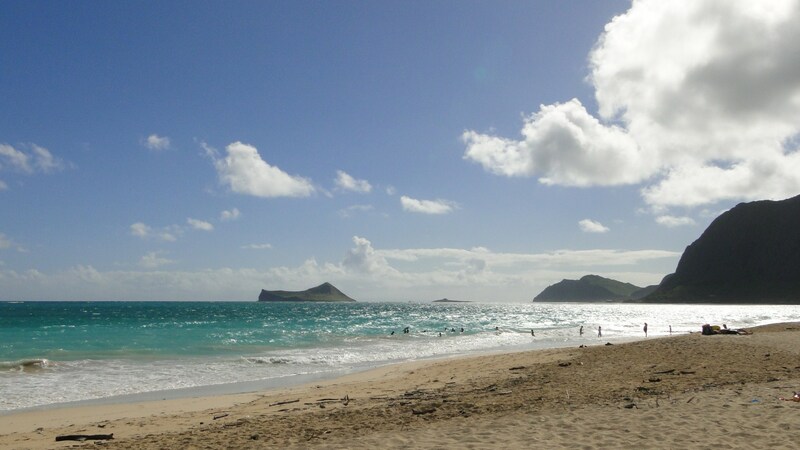 However, we are visiting Oahu with our infant son right now and took him to the beach where mommy and daddy married. Since Captain Howie’s house is across the street, we called them to see if we could swing by. Jenny said that they were busy, but yes, we could stop by. After we rang the doorbell, an older woman with long blonde hair came to the gate and brusquely stated “It’s too busy” before turning us onto the street. No greeting, no acknowledgment, no smile, no thanks, no appreciation. Not even an acknowledgment for the 8-month-old in a Hawaiian shirt grinning away at her. Just made to feel like we were rudely imposing on them, when our visit was strictly to show off the little boy whose parents’ marriage was started by them. We get that they were busy, we do. We realize that our visit was last minute and may have caught them off guard. However, there is also something called customer service. Now that we are no longer their paying customers, it’s clear that our visit was just an imposition to them. Reading your blog and the other comments makes me realize that how we were treated is part of the larger picture. We refuse to let it tar our memories from our wedding, since it admittedly was perfect. However, we will not be contacting Captain Howie’s crew during any future Oahu visits, and we are writing them off. It’s sad…as you mention, we liked Captain Howie himself a lot. I usually don’t write reviews but after reading this I felt like I had to say something. I had done about 6 months worth of research and I did not find anyone that would even come close to what they offered ( Money-wise ) for the price. Other then the fact that Capt. Howie is a bit of an odd guy ( which should not come off as a surprise) , he is super nice and very spiritual man. As for the pictures you have posted it seems to me like you are really trying to make them look bad because here are the pictures from our actual wedding that they sent us and they look nothing like what you have posted here. my suggestion to all those looking to get married with them don’t let 1 bad experience ruin it for you or change your mind. its like car accidents happen, but that doesn’t stop you from driving…. seems like you guys got unlucky and i feel bad because nobody deserves to be this unhappy on their wedding day. Happy to hear you had a good experience with them, clearly you are one of a few. Hi Jess, I am looking at getting married july 2014 with capt. howie. I couldnt see pictures on here of your wedding? would love to see real photos of this!! I am very worried to go with them now after reading all the reviews and how rude they can be 😦 But like you said they are a good price so am still interested in looking at them. I’m australian and can’t afford to fly over and see for myself so have to realy rely on reviews and pictures which is scary!! I know I deffinately wont get botox pictures. Also will it be able to fit 40 guests okay???? We were married by Captain Howie on July 10th, 2013. I just have to say that everything was perfect. We had a wonderful experience with Captain Howie and his group from the make-up artist, photographer and the ceremony with Captain Howie! I’m surprised to see that anyone’s experience would be anything but awesome. Captain Howie is a super nice guy, very personable and spiritual. I searched months to find the perfect person to marry us and I’m super glad that I found him. I have no idea what I will do for my wedding yet, but Hawaii looks like a great option. I came across Capt’n Howie and his website. It all looks so good. But I knew there had to be another side to it. So unfair. Your experience was not the same as ours. You both sound like a couple of drama queens. I was married there and had a wonderful experience. I don’t think their response to her email was in poor taste at all. She was straight forward and didn’t sugar coat things, probably since having to respond to all your previous changes and requests. I mean, really…you had to whine about it after the fact in a blog? Apparently you are not as easy going as you portray yourself to be. Nice to see five years later…people are still reading this post. Bless you sister. And I’m sorry that the “crazy cook” married you. I hope his dress wasn’t competing with yours, while his left nut was sticking out the side.